Outdoor Signs – What Are Your Options from Your Local Sign Company? Outdoor signage has proven itself in the world of advertising. In fact, your local sign company should present you with a variety of outdoor sign options to consider as part of your marketing strategy. 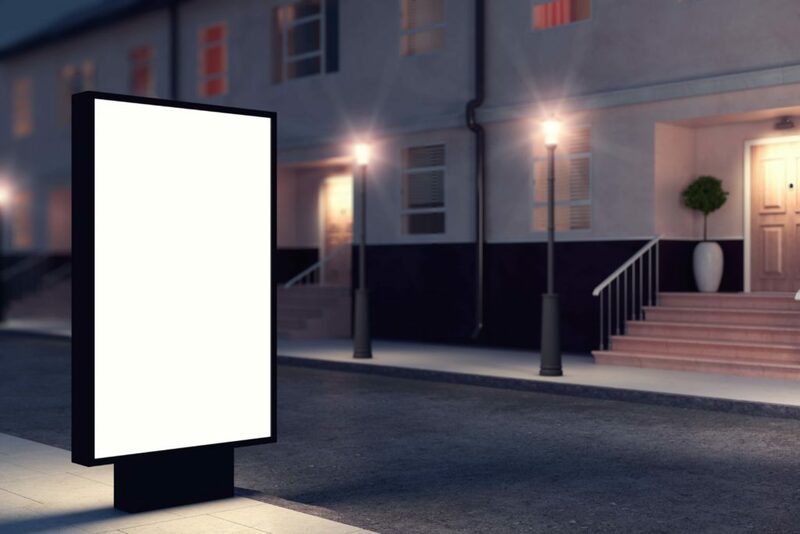 While the necessity of advertising is not overlooked nowadays, business owners still aren’t aware of just how effective outdoor advertising can be. If you’re interested in getting in on the outdoor sign advertising action and reaping the rewards, there are a few options to consider. If you take a drive around Canada, no doubt you will see the various digital billboards and wall media. The most popular of which can be seen at Dundas Square in Toronto. You’ve probably paid a great deal of attention to these digital sign spectaculars and that in itself is precisely why you should consider this type of outdoor signage. It is hard not to notice a well-placed, eye-catching digital billboard or wall spectacular. Ask your local sign company about these. It is hard not to notice the high-resolution, brightly coloured and alluring signs smartly displayed on Canada’s street furniture and transit shelters, isn’t it? Leading sign companies have realized the value in advertising to those in transit or enjoying a day out in the city. In fact, this type of advertising is so effective, many companies (large and small) clamour for the opportunity! If you’re interested in having your brand placed right in direct view of the customers that you are targeting, ask your local sign company about transit shelter and street furniture signage. Digital signage has come a long way in recent years. While many sign companies offer “affordable signage” we offer something more. We offer affordable high quality signage that’s proven to be effective too. Take your business brand to the next level with the help of Provincial Sign Systems. Contact us via email or telephone for more product information and advice today.